Golden Apples: Real. Is it? Really? What makes something real? Is it real hand knitting if its done on a machine? Or if its done on a loom? Is it real lace if knit? Or if the knitting is worked with YO's and togethers on only one side? Is is a real moebius if it is knit flat, twisted and grafted into a loop? Some distinctions are good, they clarify, some distinctions are petty, and used to put down others. The basic directions for making one, suggest, take a strip of paper, about 1 inch wide and 11 inches long, make a single twist in the strip of paper and then join the edges. 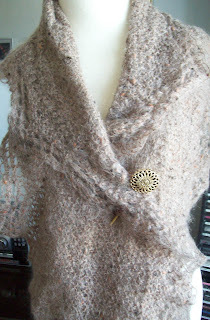 How about a moebius scarf? Can you do the same? Sure! EZ suggested this method for making a moebius: Use a provisional cast on (or maybe a simple one) knit a strip, give it a single twist, and then finish by grafting the cast off stitches to the cast on, being sure to join so the pattern is continuous. Its one way to knit a moebius. Not the only way, but its a real moebius! The other way, perhaps a bit more elegant, is to start with an invisible cast on, and a single twist in the knitting, and to knit the moebius, form a center point (lets call it a spline) knitting in a twisted loop. 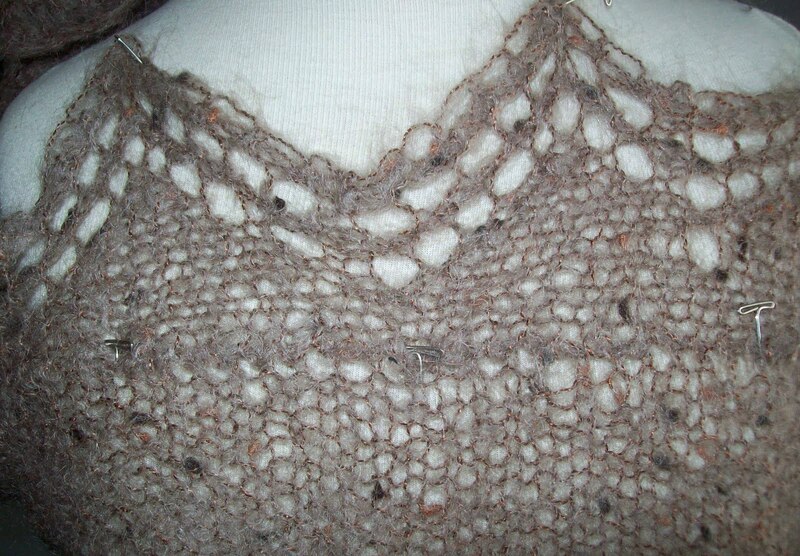 Worked this way, each ROUND (1 pass of all the stitches) makes the moebius 2 rows wider. It's not that hard to do--in fact its easier to do than to explain! There are books on the process (notable Cat Borhdi's!) but in the end, both processes end in a REAL moebius. One is a more elegant design, the other? Simpler, but just as real. My moebius is knit in the slightly harder to start, slightly more elegant style, in a simple seed stitch, with a garter stitch simple (alternate rows are plain knitting) lace edge, that was knit and place and used to bind off the main body of the knitting. It's easy to see where the direction of the work changes in this image, but almost impossible to see other wise. Some knitters think only one style is real –but really, isn't that just a way of demeaning another's style? And really what does that accomplish? Mathematically both styles end up with the same result!